Finally the long awaited Held Steve 2 Glove ($159) has arrived. Over the last few years the original Held Steve Glove has been a best seller for numerous reasons including comfort, functionality and bang for the buck factor. Its a great mid range touring or adventure touring glove from Held which will cover at least three seasons. Check out the video above. We shot it with Tommy of Held USA at the Indy dealer show. The new Held Steve 2 Glove has kangaroo leather palm, riveted heel studs and leather reinforced upper like the original Steve, but now with an updated design which will be more comfortable and protective. The Steve 2 also features a Nomex and Kevlar reinforced outer layer for further protection from a fall. The new Steve 2 has a grey palm, carbon reinforcement in the wrist and a left finger visor wiper which it did not have previously. 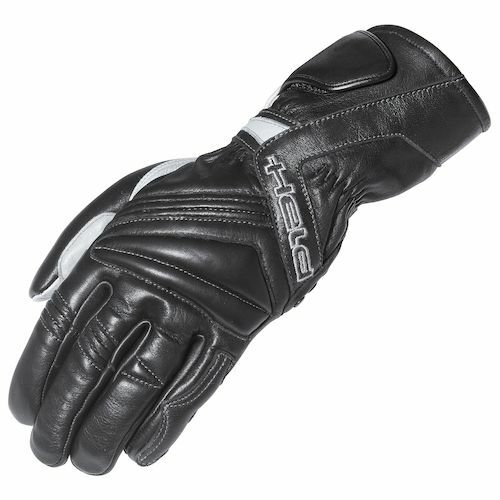 The Held Steve 2 Glove is available now at RevZilla.com.